The people of India are some of the warmest, kindest, and understanding people that you could ever meet. It is in their culture to accept what is and what isn’t. There are many different ways to travel and all of them correct in their own form. One of the aspects of travel that is most intriguing is connecting with the people. I have been traveling for so long that tourist attractions around the world no longer is the sole interest on my travels. I choose to live overseas for months at a time in order to be able to really get to know a culture. To feel it and comprehend what it stands for. 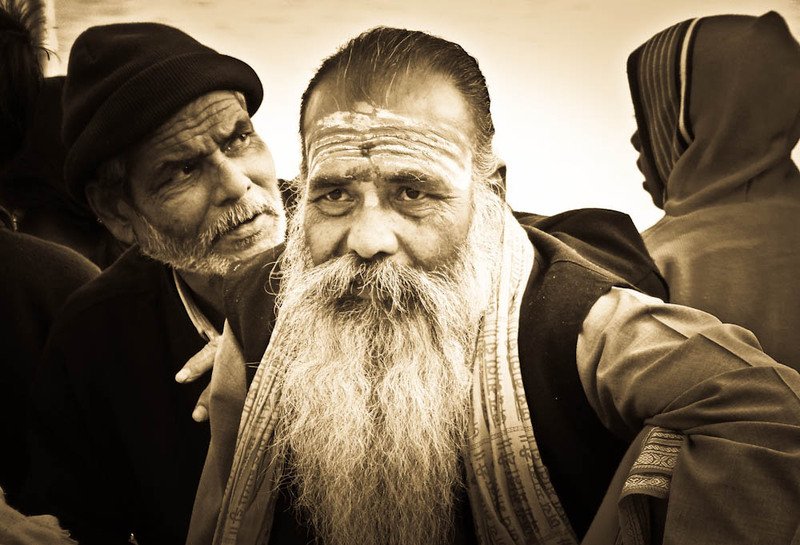 Many times a person’s face has an immense amount of character and the people of India are as interesting and exotic as it gets anywhere in the world. 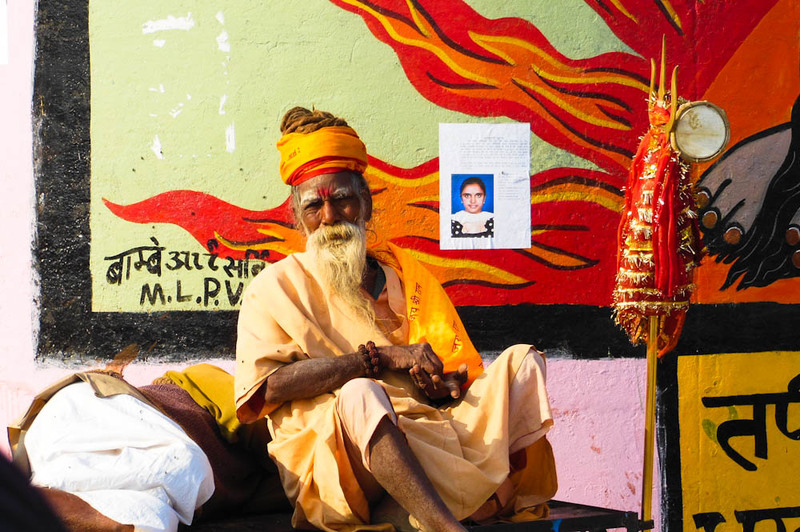 In Varanasi there is a unique culmination of events as Hindu’s from around the world congregate at their holy center, the Ganges River. If one is lucky, the holy men that come to reach enlightenment will allow you take their picture with no questions ask. If one isn’t lucky, then they will ask for compensation for the picture. Always ask before taking someone’s picture to show respect. One should also show the person their picture as most times they enjoy seeing themselves. The man of many colors sits patiently as his friend next to him naps. The man carefully cleans his silverware and eventually will bath in the holy river. 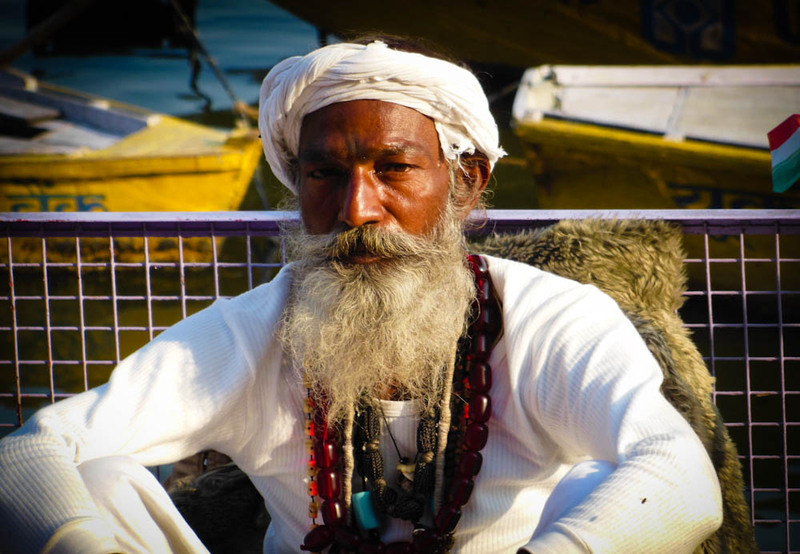 The captain of the ship on a cruise along the Ganges River. Recommended for a peaceful whisk away the Varanasi mafia. 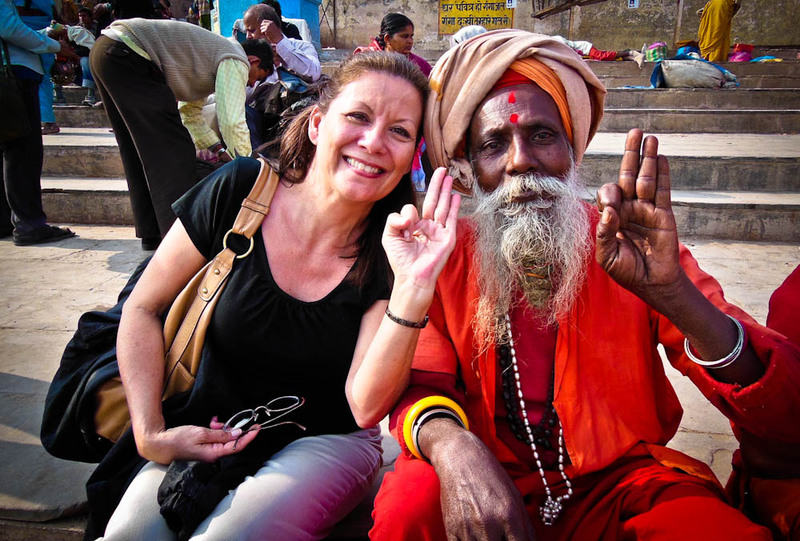 The Madame WanderingTrader enjoying her time connecting with the people of Varanasi. 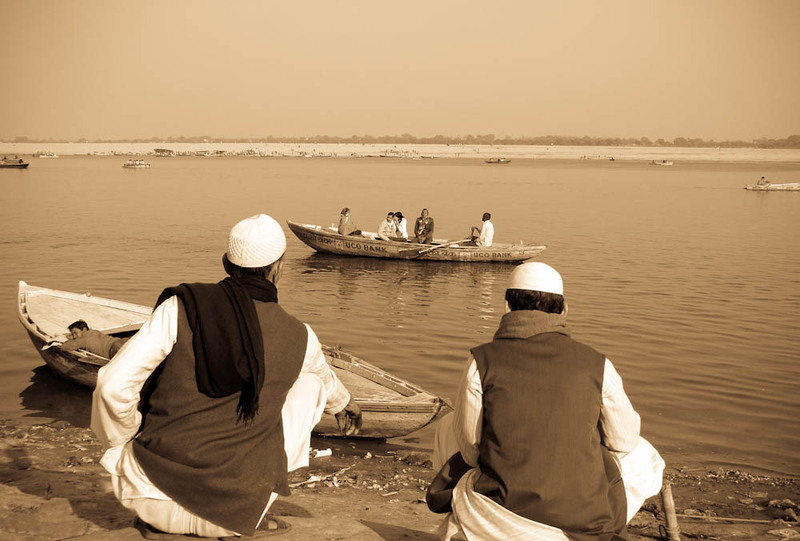 Two men patiently awaiting the days end pondering life upon the Ganges River. Not a photograph taken by me (above). These were a series of photographs that were posted on a wall. 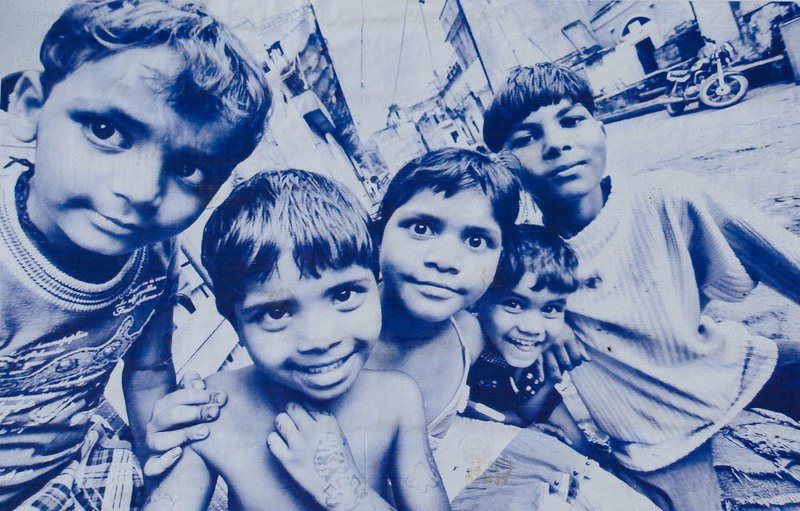 Great shot of kids of India. A holy man stopping his lunch to allow a great shot by looking directly into the camera. A picture taken from distance of a man leaning over discussing something with his peers. 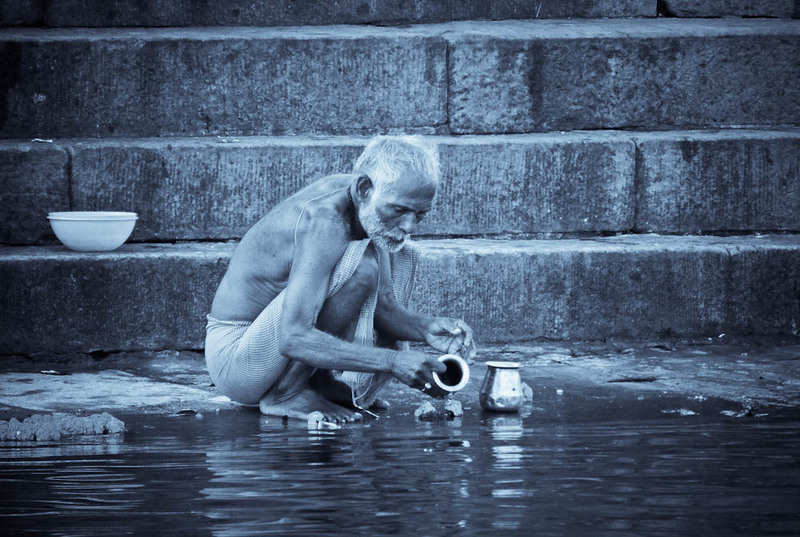 A man rushing down the Ghat steps to serve tea to his companions. Another thing you may not have noticed is the Cigarette in his left hand. Visit the India picture gallery for more pictures of India and visit the Top 5 section for more things to do in India and around the world. Beautiful shots! 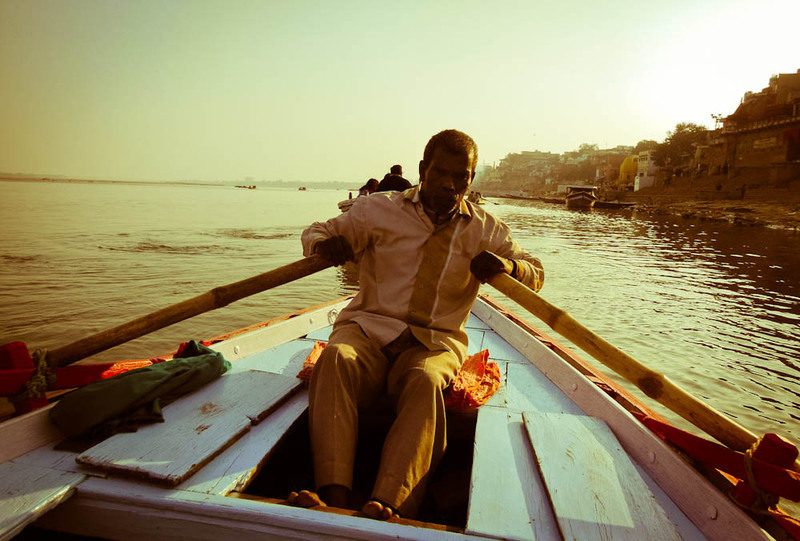 Varanasi is one of my favourite places in the world! Wow, you got some really cool pics of the people. I can see what you mean about them being warm, as it seems they really were happy to pose for your shots. Varanasi was our main regret for not being able to visit while in India. We only had 3 weeks and spent it in Rajasthan. Great shots. Beautiful pictures. India is on my list of places to travel, hopefully within the next year or two. I’ll definitely be checking out Varanasi. some great shots! a really good insight into India! Beautiful Pictures!! I’d love to visit India. Wonderful shots ! But there’s a lot more to India. You will be surprised at the diversity ( Deserts of Rajasthan , the holy river bed of varanasi, the 7 sisters of the east , the towering himalayas to the north, the western ghats , the long coastal strip called the Konkan and more … ) Namaste. Do come back for more. beautiful shots. what lens are you using? Portrait and getting up close? Or an 85 from far away? I’m too chicken to get close to people. Im a shy traveler. Very beautiful photos of Varanasi. It reminds of me my childhood. I spent a lot of time here. Fantastic images…you have really captured the essence that I would love to see. 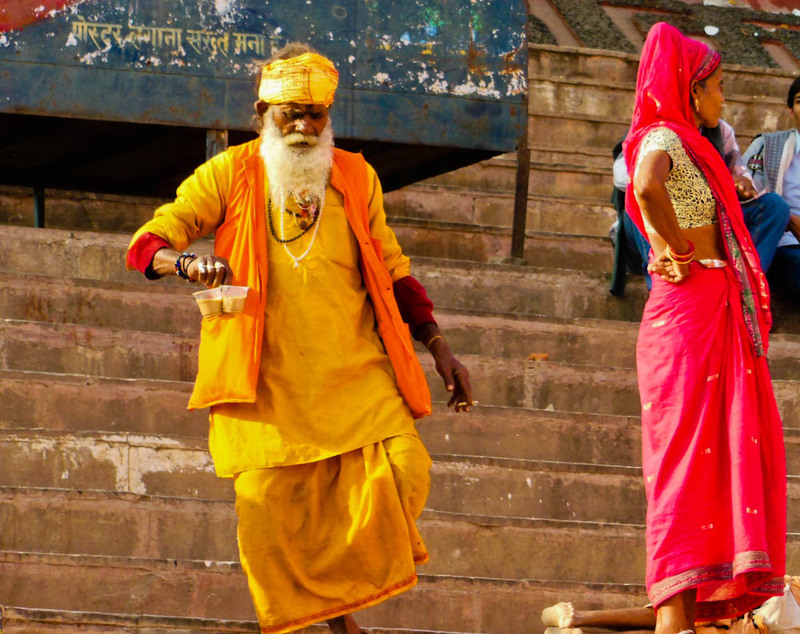 Varanasi has been on my to visit list for about 15 years and I intend to get there shortly. I would love to go during festival time to see the celebrations and enjoy the atmosphere. great shots..captures Varanasi beautifully..lot of humanity in the pictures..